Delaware County’s historic jail is up for sale. 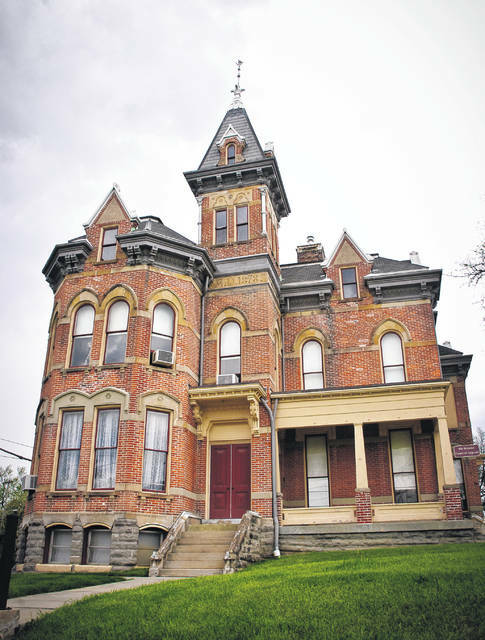 On Thursday, county commissioners rejected all bids received for purchase of the building, which was constructed in 1878 at a cost of $25,845 and designed by architect David W. Gibbs of Toledo. It was the third jail built in Delaware County. Currently, the historic jail is home to the county’s law library and the office of the Ohio Fifth District Court of Appeals. Delaware County Commissioners rejected all bids Thursday for the purchase of the historic county jail and former sheriff’s home located at 20 W. Central Ave., Delaware. Commissioners had originally scheduled the rejection of the bids for Thursday, May 3, but were persuaded by local attorneys Micheal Cox and Nick Mango to have the item pulled from the agenda. According to Jon Melvin, county facilities director, Cox and Mango had placed the highest bid, $156,000, of the two bids received on the property. The other bid was for $10,000 from Roxanne Amidon, owner of Amidonian on West Winter Street, Delaware. Cox warned commissioners that any other use could be “fraught with the possibility of leaving an eyesore on the corner.” He used the building at the corner of North Franklin Street and West Lincoln Avenue as an example. The historic building was converted to a nursing home that has long been out of business. In February, commissioners authorized the publication of notice that the county had put the building up for sale. At that time, Melvin stated that the easiest way to see if there was any interest in the building was to “put it out for sealed bids” with the commissioners having the right to reject all bids. Aric Hochstettler, assistant prosecuting attorney, said the recommendation was to go back and redo the advertisement, which would include all the criteria that had come forward since the original notice had been published. Commissioner Jeff Benton said there had been significant interest in the historical property, but they chose not to submit bids. Once outside the meeting room, Cox and Mango said they were still interested in purchasing the historic jail, but they would need to wait to see what the new criteria were before entering a new bid. The building was constructed in 1878 at a cost of $25,845 and designed by architect David W. Gibbs of Toledo. The first jail was a 12-by-24 log cabin built in 1814, and a second jail was constructed in 1850. The historic jail now up for sale was the third jail constructed for the county. This entry was tagged D. AnthonyBotkin, delaware county, Gary Merrell, Historic Jail, Jeff Benton, Michael Cox, Nick Mango. Bookmark the permalink.